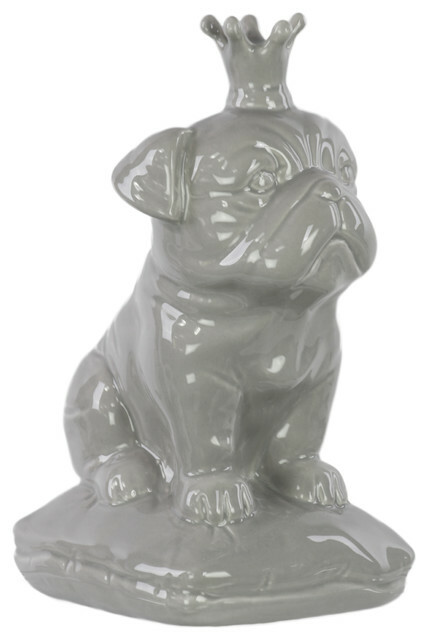 The Ceramic British Bulldog With Crown makes a fun, charming accent piece in a bedroom or living space. Finished in glossy gray, this sculpture features a royal bulldog sitting atop a cushion and wearing a crown. Display it on a side table or desk.